In case you missed it, according to the News and Observer, the diversity and equity obsessed Wake county school board members left a ‘poison pill’ for the next board to be elected this Fall. Remember, Merrill’s base was increased recently by this board to $281,302. 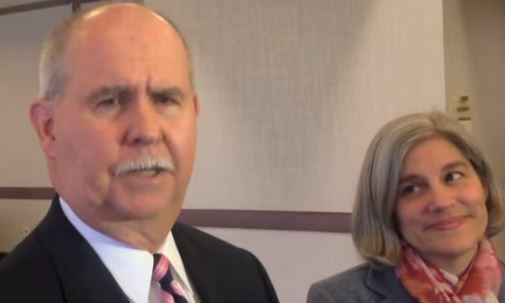 The Wake County school board approved a poison-pill amendment to Superintendent Jim Merrill’s contract on Tuesday, giving him up to two years of severance pay worth more than $560,000 if he’s fired from his contract early. The contract amendment, unanimously approved without board comment, comes about nine months before elections in November could result in a brand-new school board. All nine seats on the Democratic-led school board are on the November ballot under new election maps drawn up by the Republican-led General Assembly. Under the revised contract, if Merrill is fired unilaterally he’d be entitled to two years pay or the pay for the remaining time of his contract, whichever is less. His contract runs through June 2019. Poison Pill is one way to describe it. I think a more accurate descriptor is that of leaving a flaming bag of poo on the front porch. I hope this flaming poo stunt ends up sinking them. Isn’t that mature? This board is possible the most spiteful I’ve ever seen. But hey, what else would we expect from an apparent collection of dolphins? Well, I think it will be incumbent upon the next board to release Merrill’s full contract, including the list of performance goals set for him that the board refused to release. I requested that set of performance goals and the Wake county attorney told me that was ‘part of his personnel file’ and ‘not covered by a Freedom of Information Act request’. Really? A list of goals tied to a highly compensated, taxpayer funded public employee is not allowed to be seen by the public? Wake County schools also denied my request for materials used to create a “Five Pillars of Islam” flip book and other in class activities. The Wake attorney claimed it was student work and was covered by FERPA. Ok, fine, but my request was for the teacher’s materials, which are not covered by FERPA. When pressed on it, the answer I got back on that was ‘the teacher doesn’t have any’. Gee, is Wake County schools telling me that the teacher taught how to make that flip book out of thin air and her newsletter was just made up? Seems like it. This instance is yet another taxpayer funded item which the public should be able to inspect at will. It’s also worth noting Wake county schools sat on that Islam flip book request for nearly a year until I got an attorney involved. By the way, I am still waiting on the full line item budget from Wake County Schools. That request was made at the end of last October. This entry was posted in EDUCATION, Wake County School Board and tagged Jim Merrill, Wake County School Board, WCPSS. Bookmark the permalink.